When it comes to personal injury claims in Nebraska, the #1 thing we want you to understand is that if you’re suffering because of someone else’s negligent behavior or inaction, you are entitled to financial relief. Nobody deserves to suffer alone. The law requires that negligent people own up to their mistakes and pay for the fallout. After all, somebody has to. But if you’ve been injured and haven’t yet taken action, there’s one other important rule you need to remember and take seriously: time limits apply. Nebraska personal injury law imposes a “statute of limitations” on most claims for compensation. That means that you have a limited window of time in which to file your claim. Once that window expires, you are permanently barred from ever taking action on your injury again. Some statutes of limitations are more generous than others. Unfortunately, people often find themselves shut out from justice just because they waited too long. It’s an easy mistake to avoid, but only if you know the parameters you’re working with. Accordingly, we’ve put together the following guide to the Statute of Limitations for Personal Injury Claims in Nebraska. You’ll find the applicable rules for many kinds of claims and injuries, as well as a general explanation of how (and why) time limits operate in our state. An experienced Omaha personal injury attorney can make all the difference for innocent people whose worlds are rocked by unexpected accident or injury. Time can be an invaluable tool when it’s on your side. The sooner your lawyer can start building your case, the better your chances for maximal recovery. The information below will help you know where you stand. Facilitate the legal system’s efficient processing of claims. Unfortunately, though, statutes of limitations can also have unforeseen and unintended consequences for plaintiffs. People who’ve suffered very serious injury might miss out on justice that they truly deserve simply because they misunderstood the statute of limitations. Indeed, these time limits can be more complicated than they sound. The question often comes down to when the clock starts ticking. Most often, the window begins when the injury occurs. But if the injury doesn’t become apparent or can’t be discovered until sometime later, The Discovery Rule will allow plaintiffs to start the clock at the time of discovery instead (though the total time limit may then be reduced). The Discovery Rule only applies in some cases and is especially important in medical malpractice lawsuits (more on that below). Some cases have “tolling” provisions, which means the time period is paused or delayed until certain conditions transpire. Others may be subject to an additional “statute of repose,” which puts strict limits on the time window (usually in the defendant’s favor). Contract provisions may also narrow the statute of limitations. A handful of exceptions can apply in other cases too. All of this gets quite complicated. The important thing for you thing to remember is that the applicable statute of limitations isn’t always what it seems. Give the facts to your Omaha personal injury attorney and let them do the calculating. An experienced lawyer can keep your case moving on the right track. Nebraska criminal law has its own statute of limitations. Please note that this is entirely separate from the statute of limitations for personal injury claims in Nebraska. Regardless of whether the time window has expired in a defendant’s criminal case, he or she may still be separately liable in a civil action. Here again, an experienced Omaha personal injury attorney can make sure you’re working with the right set of rules. Note: If the injured person is a minor, the civil statute of limitations is four years from the age of majority which at this time is 19 in the state of Nebraska. However, the parents’ claim for medical bills is still subject to the 4 year statute of limitations. (with the exception of wrongful death claims). Remember that many exceptions or special provisions can apply in these cases. The foregoing is not a comprehensive list. Never assume that you do or do not have enough time to file a claim without consulting an experienced Omaha personal injury attorney first. The statute of limitations for medical malpractice in Nebraska (including birth injury, brain injuries, spinal cord injuries, and more) requires a little more explanation. 1 Year from the date the injury was — or should have been — discovered (whichever is earlier). This only applies if the discovery date is more than 2 years after the action giving rise to injury. In any event, medical malpractice claims can never be filed more than 10 years after the action giving rise to injury. Cases take time to build. Even after you contact an attorney, you’ll need time to gather evidence, consult with witnesses, and engage in strategic negotiation that might allow you to reach a recovery without going to court. The sooner you start, the better. If you or a loved one has suffered injury as a result of someone else’s negligence, you may be entitled to significant economic compensation. An Omaha personal injury attorney at Hauptman, O’Brien, Wolf & Lathrop, P.C. can help. Our services are available to injured people living in Nebraska, Iowa, Missouri, Kansas, Colorado, South Dakota, and beyond. Give us a call today. 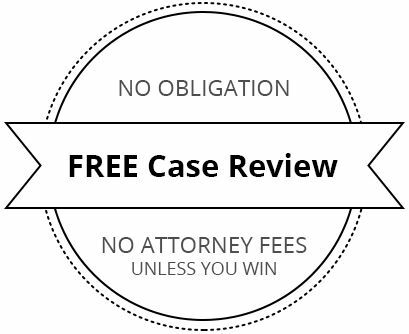 To schedule a free consultation with an attorney in our office, please contact us as soon as possible. Remember: the clock may already be ticking.